Read this blog to the end, because it’s amazing what a difference a few hours makes. I’m writing this blog at 1:15 PM on Tuesday afternoon, so what I’m saying now is subject to modification, perhaps towards the end of this entry. As of now, the show did not go well. 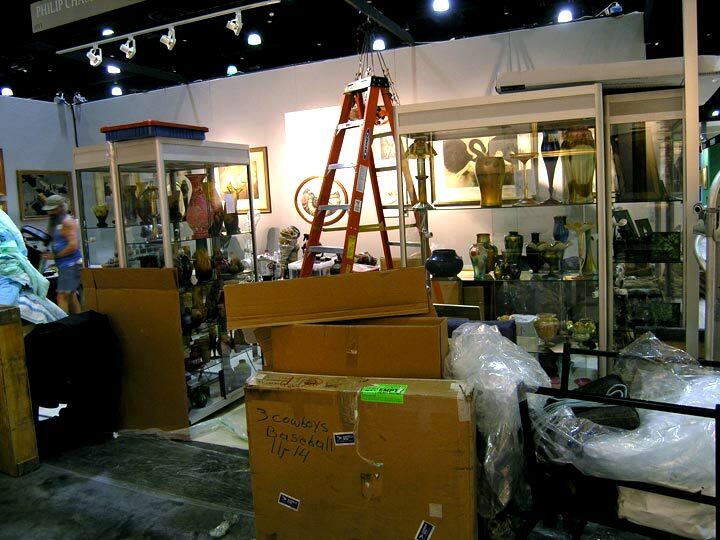 It’s an expensive show for exhibitors, so they have to sell more than the usual amount just to make expenses. Sales after that are the profit. As of this moment, I have not made expenses, nor have several other dealers that I’ve spoken to. I’m sure there are some exhibitors who’ve done well, but personally I haven’t met them. 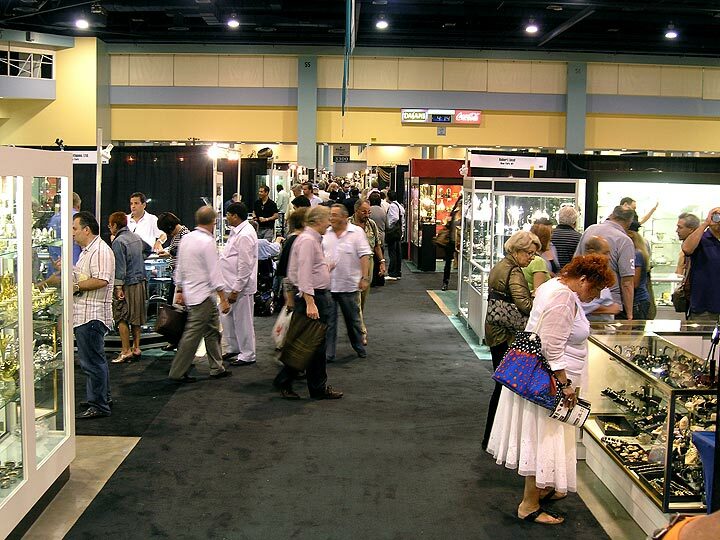 Attendance was noticeably lower than last year, when the aisles were crowded each of the four days of the show. Attendance was good on Saturday and Sunday and lighter on Monday and Tuesday. In asking around, I found out the following. A dealer in Russian objects did not make his expenses. Another dealer in decorative objects and jewelry had a difficult time selling decorative objects but was able to make a profit with jewelry. A dealer in clocks was able to make a small profit. One dealer in paintings did not sell a single painting. Another dealer who sells general merchandise was pleased. He had sold a mirror, a piece of furniture, a bronze, etc. I’ve got mixed feelings about the attendance at this show. The show promoter is very generous with the distribution of free tickets. Consequently lots of the attendees at the show are there solely for a good time. It’s better than a museum — the admission is free, you can touch or buy anything, and you can ask questions of experts in their fields. My feelings are mixed because it’s difficult to deal with the many attendees who are there for amusement. Sitting in the booth for eight hours, repeatedly putting up with comments and questions like “Are any of these items for sale?” “Did you make these?” “Do you have a pair?” is tough. On the other hand, there is a possibility that someone who had no intention of purchasing anything could get sufficiently motivated and make a purchase. I’m not sure why I print and distribute business cards. My wife was once in a booth where they sold purses. She asked for a business card and was told by the owner “No, I don’t have any. Cards are for people who have no intention of buying.” I’m not that cynical, but I am realistic. If I take a wild guess, I estimate that I receive one inquiry for every 1-200 cards that I distribute. Pretty low percentage, but if it results in a sale or purchase, it was worth it. P.S. It’s now 9:30 PM on Tuesday night. The show finished a few hours ago and now we’re all packed up and anxious to get back to New York. We’ve been gone a month, so I’m champing at the bit (can I tell you how many people are wrong when they say chomping on the bit?) to get home. The show ended with a flurry of business for the last three hours — very exciting and very gratifying. We sat at the show for 35 hours of exhibition time and did 75% of our business during the last three hours. Some of it was to people returning after they’d seen something in our booth on previous days, but most of the business was to people who saw us for the first time. Business cut through many categories, a Pairpoint puffy, KPM plaques, Tiffany glass, an Icart etching, a Le Verre Francais vase, but it’s still strongest for French cameo glass. Thanks to each and every one of our clients. Their business is truly appreciated. 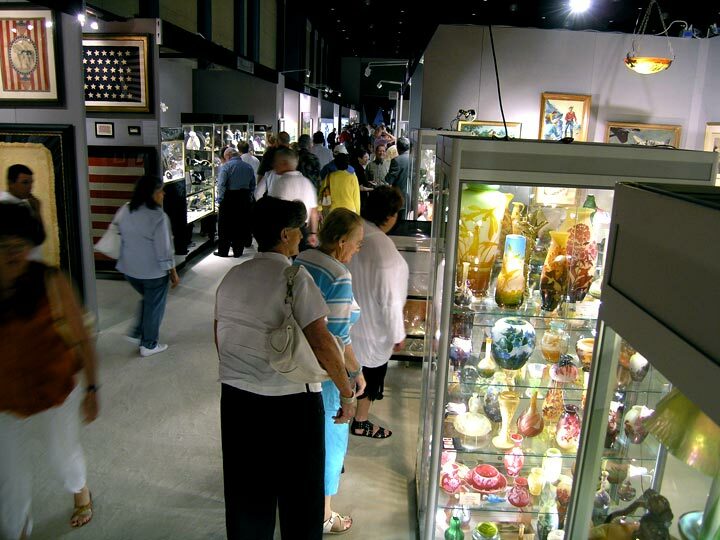 The Palm Beach Jewelry, Art & Antique Show opened today at 11 AM. Attendance has been very good, but seems off a bit from last year. Business today was fair, with a few small sales. There’s been lots of interest and intelligent questions, so I’m cautiously optimistic that the show will ultimately be good. I gave out lots of business cards, but that’s usually to people who want to make a gracious exit from my booth. They think that if they ask for a card, I’ll think they’re serious. Quite the opposite. Setup at this show is different from most other shows, because once it begins on Thursday morning at 9 AM, it runs 24 hours a day. It’s nice to be able to choose my own hours and stay as long as necessary to complete the booth. The setup lasts until Friday afternoon because the preview party begins at 6 PM the same night. If you read my blog, you know what I think of preview parties, but this time it was different — I made two sales. Knock me over with a feather! This party wasn’t as stuffy as most. There really were buyers mixed in with party-ers. Lots of interest and questions. My next blog will be sometime on Wednesday, as the show ends on Tuesday at 6 PM. It’s strange for a show to run from Saturday to Tuesday, but it makes sense because it’s always held over the President’s Day weekend. Lots of folks travel to West Palm Beach for the long weekend. Call me a glutton for punishment. After exhibiting at two shows in a row in Miami, we made it three-in-a-row with Sarasota and soon to be four-in-a-row with Palm Beach. I don’t mind the work when it’s rewarded, but it was not to be in Sarasota. Next year, we’ll relax on a Caribbean beach for a week between shows. Hey mon, I can already taste that Jamaican beer! This is the third time we’ve exhibited in Sarasota and now we know beyond the shadow of a doubt that it’s the last time. It’s a beautiful city, but that’s not a sufficient reason to exhibit there. There aren’t enough buyers for important items. I received lots of compliments, and I do appreciate them, but unfortunately I can’t pay the mortgage with them. It amazes me, although it shouldn’t, how little the general public understands about the antiques business. First and foremost is that most people don’t even realize it’s a business, with profit and loss. 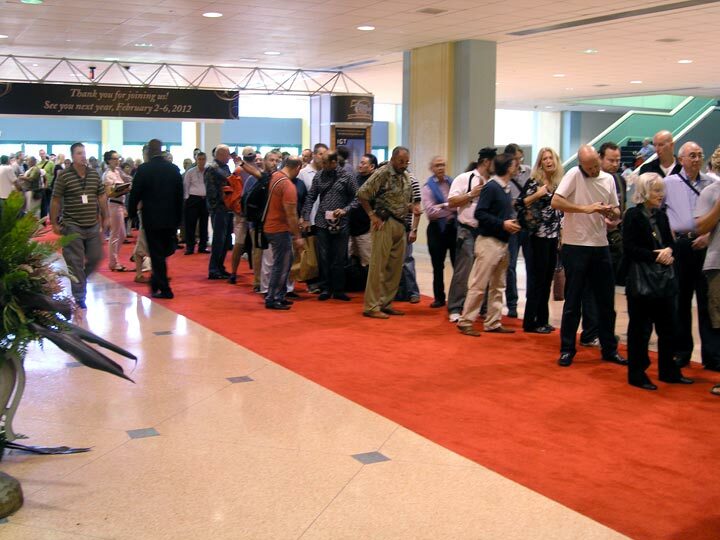 If more people understood that, there could be a better balance of the needs of both exhibitors and attendees. 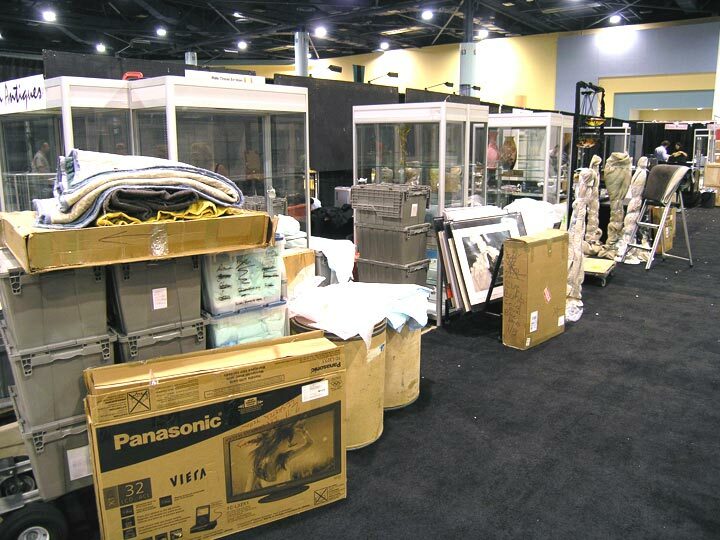 Exhibitors need to sell. The public, in general, needs to be amused. The buyers need to find what they’re searching for. So how can a balance be achieved? I’ll propose a radical solution that has little chance of succeeding. 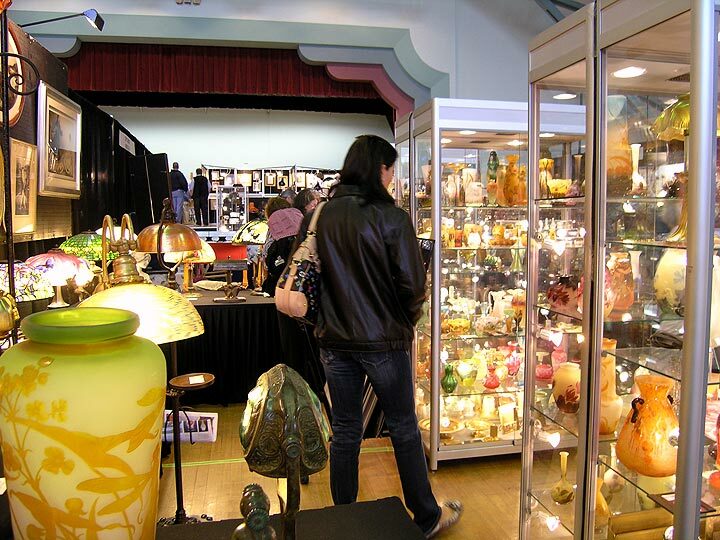 Attendees at antiques shows pay nothing for admission if they make a purchase. Those who don’t make a purchase pay for admission, say $50. What would happen? Fewer people would attend, but a higher percentage would make purchases. Sounds good to me. The problem is that there is a third interested party — the show promoter. Promoters make money from two sources, booth rent from the exhibitors and admissions from the public. They have no interest in limiting the number of people who attend — just the opposite. 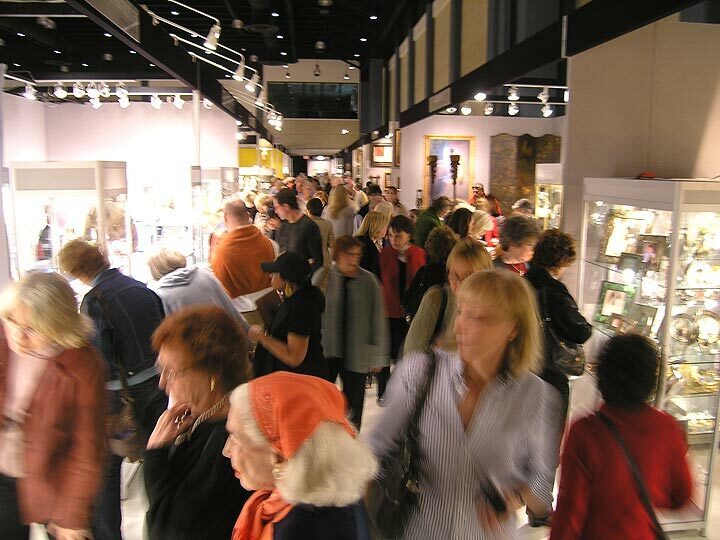 The antique shows that get the balance correct will continue to thrive, while those that don’t will eventually go out of existence, as has already happened in several cities. In the meantime, I’ll keep writing my blog in the hope that I can affect and improve the balance. But I digress. 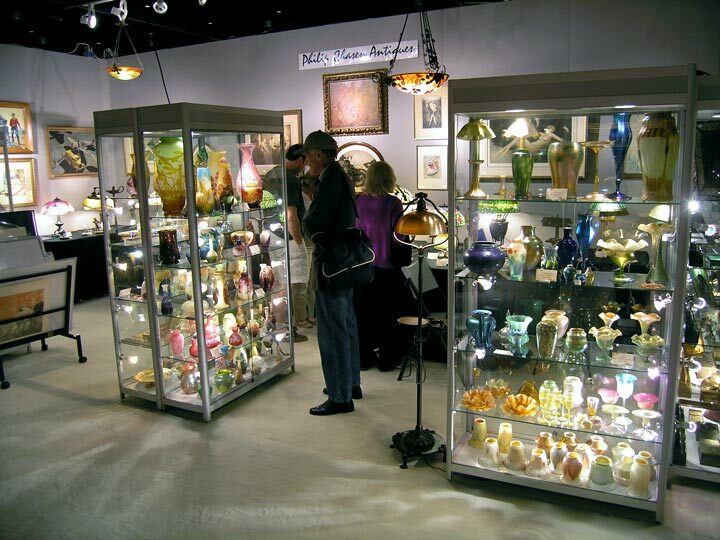 Next weekend, on Saturday, February 19th, the Palm Beach Jewelry, Art & Antique Show opens to the public. It will remain open for four days, until Tuesday, February 22nd. It’s a gorgeous show, with important dealers, many of whom exhibit at very few shows. It’s worth a trip from anywhere. Buyers fly in from all over the US, as well as Canada and Europe. Palm Beach is a lovely place to spend some time in the middle of winter. There’s still time to make your plans. There were definitely more smiles than frowns after the Original Miami Beach Antiques Show ended on Monday evening. Attendance was fairly good, but definitely affected by the horrible weather up north. Several people I spoke to said they were delayed by a day or two in arriving because of airport closings and canceled flights. Regardless, business was generally good. I asked many dealers how they did and very few said fair or poor. Most replied good, excellent, or even better. One dealer brought approximately $1 million dollars in jewelry to the show. He told me he sold out. That’s right, nothing left. He sold well to the public and then a dealer who specializes in buying complete booths bought whatever remained. Not bad for a few days work. 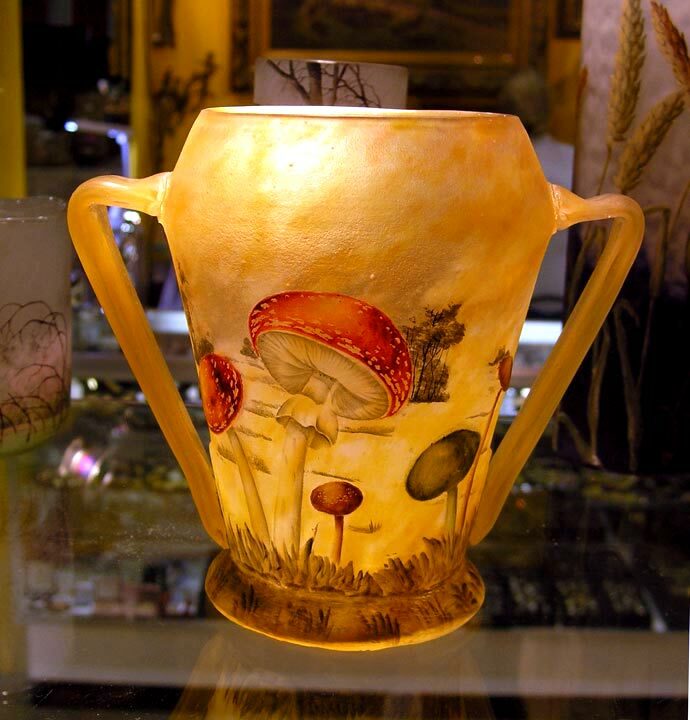 Another dealer, who specializes in Tiffany lamps, sold so many lamps that he had his best show ever. 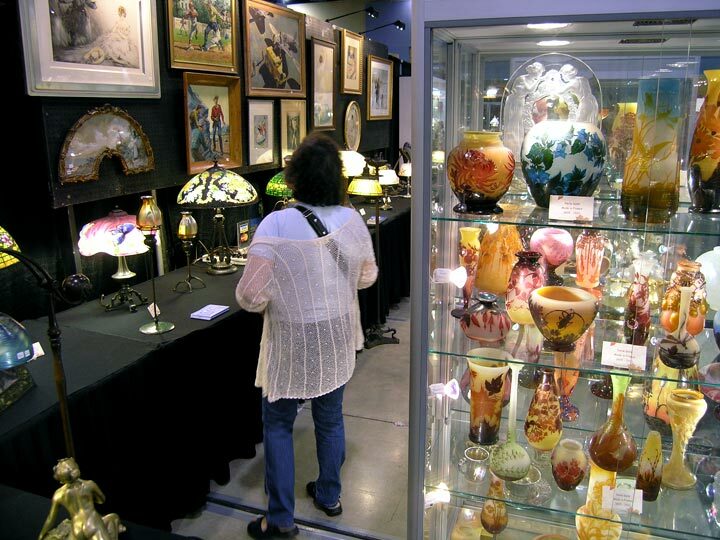 Personally the show went well, with sales strongest for French cameo glass (which remains strong), Tiffany Studios glass, lamps and frames (which also remain strong), and Icart etchings (a pleasant surprise). The buying also was good. 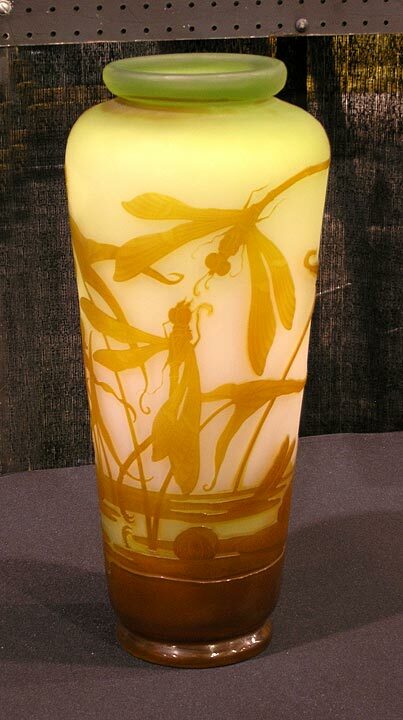 Last week I bought some wonderful French cameo glass at the Miami National Antiques Show. 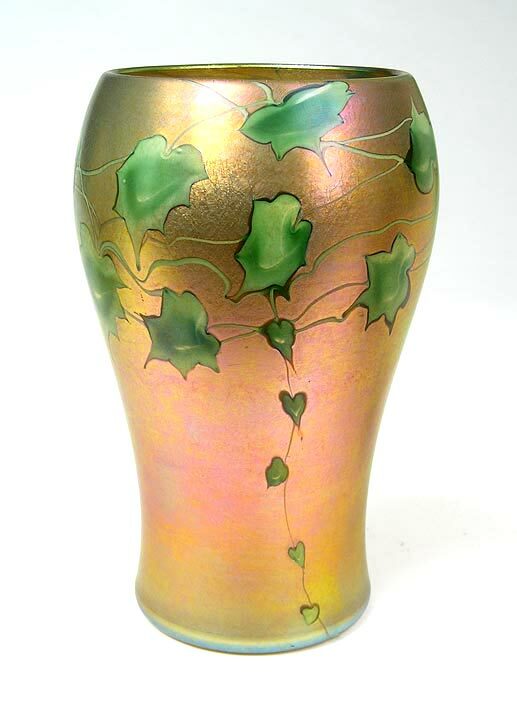 This week I bought an important Galle dragonfly vase and some fine Tiffany Studios objects. The results of the Original Miami Beach Antiques Show are usually a barometer for the antiques business for the rest of the year. Right now, things are looking up. This week we’re off to Sarasota to try another show. We haven’t had the best luck there, but the timing was right, coming the week after the Miami Beach show and before the West Palm Beach show. Last year we had a scary, unwelcome Noreaster adventure on the way to West Palm Beach for the show. This year we decided it’s best to play safe, stay in Florida, exhibit in Sarasota, and avoid the unfortunate weather in the Northeast. If you live on the west coast of Florida, I hope you’ll take the time to visit the show. The dates are Friday to Sunday, February 11-13. I’m bringing the same top-notch objects I will be bringing to West Palm Beach the following week. 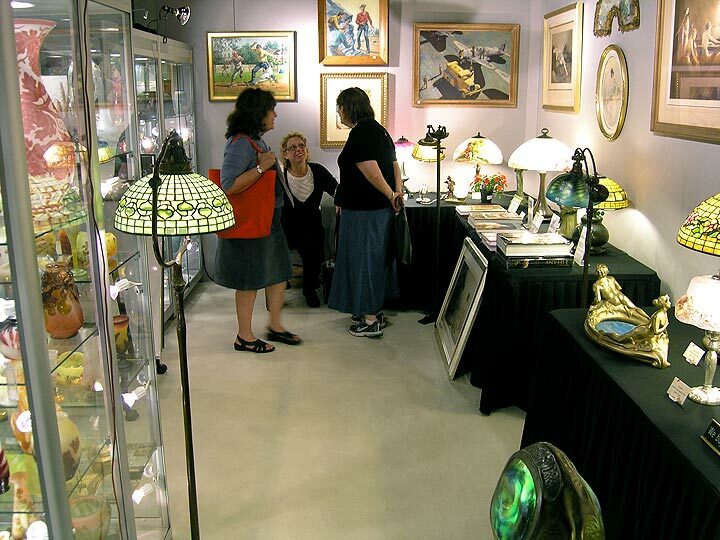 The Original Miami Beach Antique Show opened yesterday, February 3, 2011, and will remain open until Monday, February 7. Buyers from all over the world descended on the show, with good reason — the enormous show has many high quality exhibitors, some of whom saved their best items for the show. 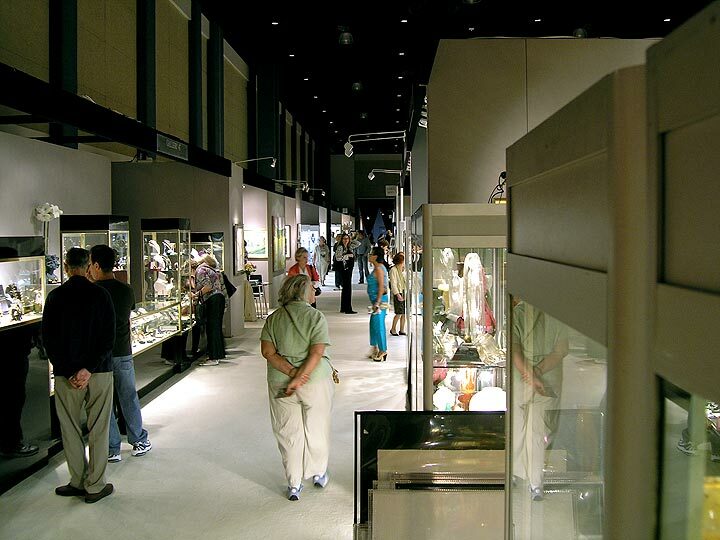 Name another place where you have the opportunity to choose from approximately $1 billion worth of high quality antiques and jewelry. There are other large shows, like Roundtop, TX, or Brimfield, MA, but they lack the overall quality and consistency. And let’s not forget the show is in Miami, in a modern air-conditioned exhibition facility. I can think of worse places to be in the middle of winter. Attendance was good yesterday, building slowly. The show is so large, it takes quite a few people to make it look busy. Anecdotally, business seemed to be quite good. Overheard at one of the packers “What is the value of your shipment?” Answer “$100,000”. Another booth I visited with furniture and paintings had sold stickers on over 50% of the items. Another dealer had sold a fantastic and very expensive Tiffany Studios inkwell. I suspect that many buyers were unable to get to Miami with all of the disruptions caused by the massive storm. Hopefully they’ll make their way here in the next day or two. There’s lots of show left until Monday afternoon, when I’m confident there will be many smiles. I moved to Hall D, booth 4012, in order to get a corner. Please come and visit me in my new location. Not sure yet whether I’ll post results on Monday, or wait until Tuesday, when the show will officially be over. Right now, I’m leaning towards posting on Tuesday.